Note that John and Elizabeth Targett's second daughter has the middle name 'Allright' (we haven't yet traced when or where John and Elizabeth married). Langley Common was enclosed in 1817, as recorded in the Berkshire Enclosures web-site - see 'Windsor Forest' for the Arborfield section, or 'Newland' to see the land within the Liberty of Newland and the Parish of Barkham. The Targett family were also connected with the Baptist Church at Sindlesham, and John Targett was listed in the Hurst Tithe Apportionment of 1841 as the owner of the land on which the church building stood. In the 1881 Census, Targett's was farmed by Alfred John Alright, aged only 25, from Swallowfield. His widowed mother Jane, also from Swallowfield, lived with him and his young family. 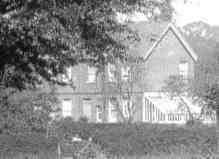 His name was connected with the farm into the 1890's, but his residence was recorded as 'Woodley'. Was the farm let out to a tenant? In the 1901 Census, the farmer appears to have been Arthur Philpott, aged 44, from Kidderminster. The land on which the Congregational Chapel was built had formerly been ‘part of the farm and premises here known as Targett’s Farm, sold by Elizabeth Ayres in 1899'. The British Legion Club was eventually built on the site of the Chapel. By the early 1900's, the Targett's was occupied by Frederick John Bosley, then by Henry Bishop. We have two photographs of Targett's Farm from around 1914. Both show 15-year-old Georgina Bertha Bishop (who later married William George Bentley) with Henry Bishop, who was then aged about 76 years. - Who was it leaning over the gate? 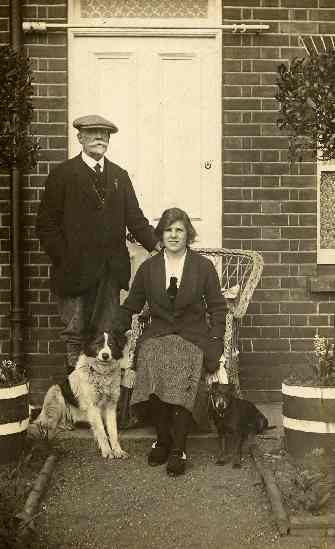 James Hellier Rowe , a Devonian who had spent most of his working life at Great Lea Farm in Three Mile Cross, took over the farm in about 1914, and spent the rest of his days there until his death in March 1922. After James Rowe's death in 1922, the farm was sold at Auction. By the 1930's, Alice Bentley occupied Targett's Farm House, while Guy and Nell Bentley lived in Targett's Farm Cottage, which is the first house in what is now Rickman Close. In April 1938, it was reported in the 'Times and Weekly News' that 'The Arborfield Cottage Garden Society met at the Village Hall to plan the Annual Flower Show, which could no longer be held at the old Remount Depot. Many members who had been based at the Remount Depot had moved away. The new venue was to be Targett’s Farm. There was a long report of the show in the 'Times and Weekly News' of 12th August. widow of F. M. E. Jervoise, D.L., of Herriard Park, Hants., aged 90. Cremation private. Funeral at Herriard Church, Monday at 2:30. The Cottage Garden Show again took place at the farm in 1939. In a detailed report, the Reading Mercury stated: 'The show took place in a field at Targett’s Farm, Arborfield, by permission of Mr. Charles B. Crocker'. Charles Barker Crocker was a dairyman then living at Ridgefield Farm on Reading Road so was he the tenant of the farm, while Miss Jervoise lived at the farmhouse? Charles was the son of Charles Walter Crocker, who farmed Cross Lanes Farm, and who ran a dairy in Southampton Street, Reading. 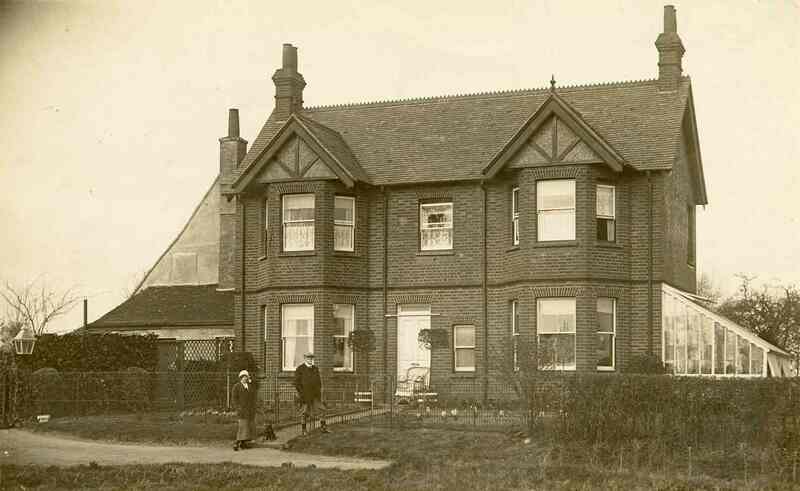 During WWII, the Women's Institute used to alternate their meetings between 'Newlands', the Village Hall and Targett's. The Reading Mercury of 26th July 1941 reported: 'The July meeting of the Arborfield W. I. was held at Targetts, by invitation of Miss Jervoise'. Thanks to Kitty Walton, whose late husband Anthony Walton wrote Farming articles for the Reading Mercury, we have a detailed description of life at Targett's around 1960 when Tony Record was the farmer, keeping cattle, pigs and poultry. Both the Farmhouse and the Farm Cottage have now been replaced by modern detached houses.